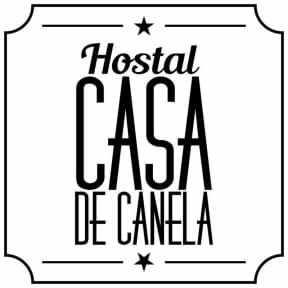 Casa de Canela has everything you need to enjoy your time here. Our fully stocked kitchen is perfect for preparing meals. There's WiFi, great lighting, a pool table, towels, comfy beds and nice pillows! We also have lockers. Located in the center of the small fishing village of El Cuco, our place is easily accessed by bus and is centrally located so you can find food, fun and meet new people. 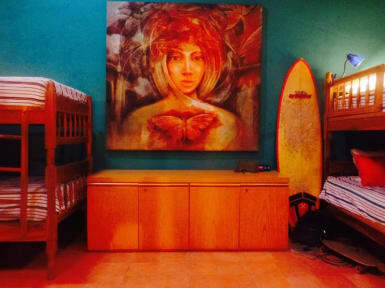 We are surrounded by some of the best waves in Central America. You can walk to Las Flores surf break from here. Minutes walk from the bus stop, you won't have to lug your backpack (like a turtle;) across town. We have lockers available for you to put your stuff away safely. Each bed has a comfy new pillow, lamp and blanket. The communal dorm has plenty of fans, and the shower is separate from the toilet. The kitchen is fully stocked so you can prepare meals on your own or bring in meals to share from somewhere else.